Although this effect is performed as a great mentalism effect, it can also be performed as outstanding magic. Here's what happens. The entertainer shows a spectator a shuffled deck of cards. The performer divides the deck of cards into TEN stacks. The spectator selects and moves one card from one stack to another stack. The stacks are reassembled. The spectator calls out all the cards and removes his selected card. The performer uses a second deck of cards from which he also selects a card. Both cards are revealed. ONLY STANDARD DECKS ARE USED! HOW TO PERFORM MAGICIAN'S CHOICE! 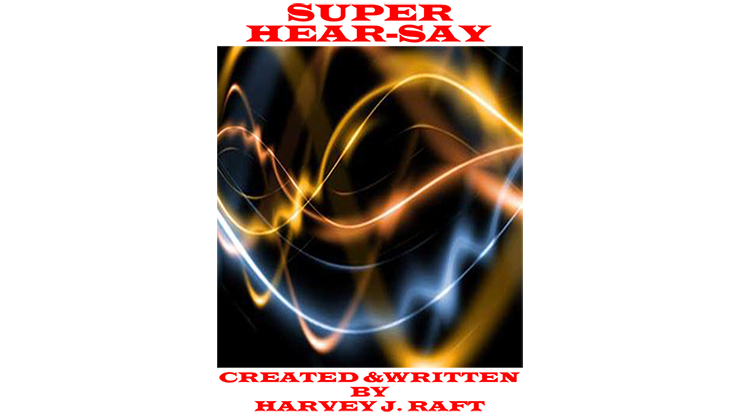 Download the eBook and learn SUPER HEAR-SAY.